A teleconverter dramatically changes the angle of view of any lenses with which it is used. Carrying a relatively small converter can reduce the need to have a large, heavy and often expensive long lens in the camera bag. Here is an example of a typical effect. The composition of this picture would be improved by a horizontal crop, removing part of the street and also a section of the sky. However, to show the difference between not using and using a 2× converter, I show here the whole of the image recorded on the film. Note that I have opened up the lens aperture to compensate for the converter (see below). Two extra stops are required with a 2× converter. Here I have opened up by 2½ stops, having re-metered the subject. 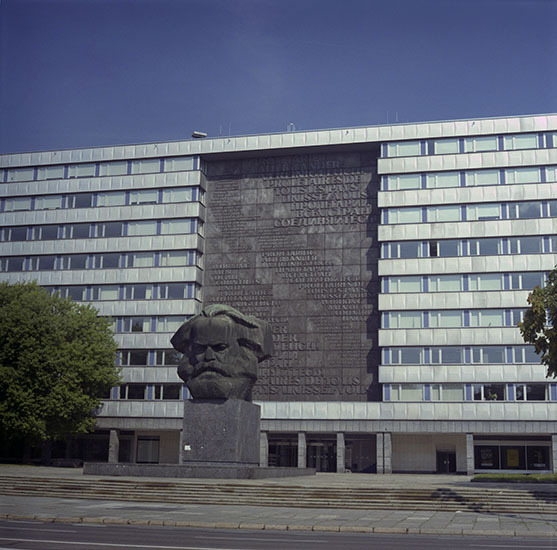 These two photographs were taken within a few minutes of each other, both of them at the virtually same distance from the statue, using a Pentacon Six TL loaded with Fuji PRO400H film. A wide and busy road was between me and the statue, and while I could have crossed the road to get nearer to it, this would have resulted in a much less desirable angle of view, as I would have needed to point the camera upwards at quite an acute angle, resulting in a less satisfactory view of the face of Karl Marx, as well as causing considerable “keystone” distortion to the image of the building behind it. I had not taken a long lens with me, so the converter enabled me to “bridge the gap” and get a tighter view of the subject – one of the common advantages of using a teleconverter. There is still some “keystoning”, but to avoid it, I would at least have needed to carry a stepladder with me, or perhaps to have taken the photograph from a first (US: “second”) or second (US: “third”) storey window in the building behind me. Such options may (sometimes!) be available to professional or official photographers, but on this website I aim to show what an amateur can achieve with a Pentacon Six outfit. 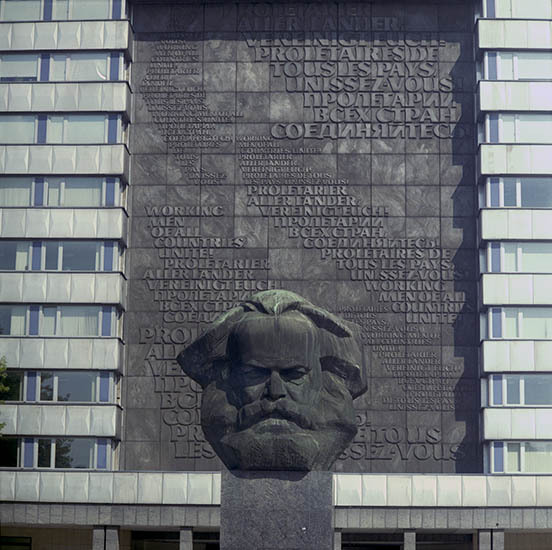 A close crop of a section of the text (a famous quotation from Marx) reveals that the Arsat 2× converter has not resulted in any observable loss of sharpness. 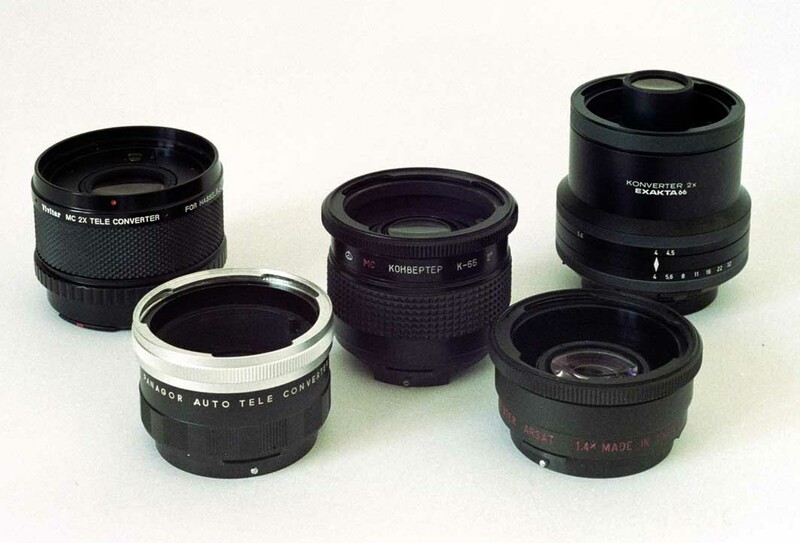 There are some other teleconverters with the Pentacon Six mount, but these appear to be variants of the top two converters listed above. “Tiger” appears to be a name under which the Panagor was marketed in some countries, including the USA. a 2× converter labelled “WEP AUTO KINOTELEX 2×” is sometimes seen on eBay. This looks identical to my Panagor Auto Tele Converter. This name appears to have been used principally by a distributor in Germany. 2) they have much better quality control, which reduces the chances of a faulty product leaving the manufacturers. They also have different external cosmetic appearance. Whether or not this is an improvement is a matter of personal taste, but most people who have expressed an opinion seem to view it as an improvement. 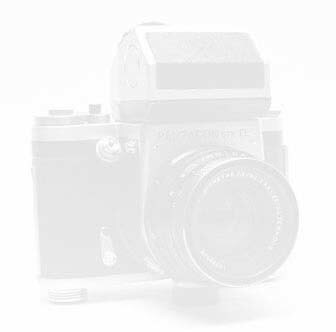 For this website I have compared the Panagor, Arsenal and Schneider-Kreuznach 2× teleconverters with each other and with a 2× teleconverter from Vivitar that was manufactured with the Hasselblad mount. The 2× Kiev converter is much sharper than the Panagor. The Schneider 2× converter is better still, on a par with the Vivitar 2× converter in Hasselblad mount, or perhaps even better than it. The Vivitar 2× converter for the Hasselblad stands out immediately as being much bigger and heavier than the other converters (even though it is not as long as the Schneider converter for the Exakta 66). You can see a report on the Hartblei 2× converter here. It is the shape of the Schneider 2× converter that is most different from all other converters with the Pentacon Six mount. As with the Carl Zeiss Oberkochen 2× converter for the Hasselblad (not reviewed on this website), the front element of the Schneider converter is mounted at the end of a narrow tube a long way forward of the front mount of the converter. This means that it protrudes into the back of the lenses with which it is used, resulting in some compatibility problems. Although the Exakta 66 manual says that the 2× converter can be used with the 80mm lens, this is not the case. (I am sure that the manual was written before the converter was manufactured.) As later Exakta 66 literature states, the Schneider 2× converter can be used with (Schneider) lenses from 150mm on up. It can be used with very few Carl Zeiss Jena or Arsenal lenses, as they mostly have a rear element that is right at the back of the lens – although it works well with the Pentacon 500mm lens – see the section on 1000mm. Close-up of the rear of the Carl Zeiss Jena 300mm f/4 Sonnar lens. The rearmost element of this lens is only just below the mount, and the Joseph Schneider 2× converter cannot therefore be mounted on this lens. transmitting the aperture selected on the lens via the EDC contacts on the adapter to the metering circuits in Praktica LLC, PLC and VLC cameras. So sometimes using a converter (possibly in combination with an extension tube) enables you to photograph a much smaller area. You can see an example of such use of the 2× converter here (scroll down to the bottom). Alternatively, if you are happy with the coverage with the standard lens, using the converter with it enables you to increase your distance from the object, thus reducing the risk of casting a shadow on what you are photographing, or of startling it, in the case of wildlife, insects or children! I report on this remarkable converter here. Occasionally, other teleconverters are seen. I report on one of these on a separate page, here. 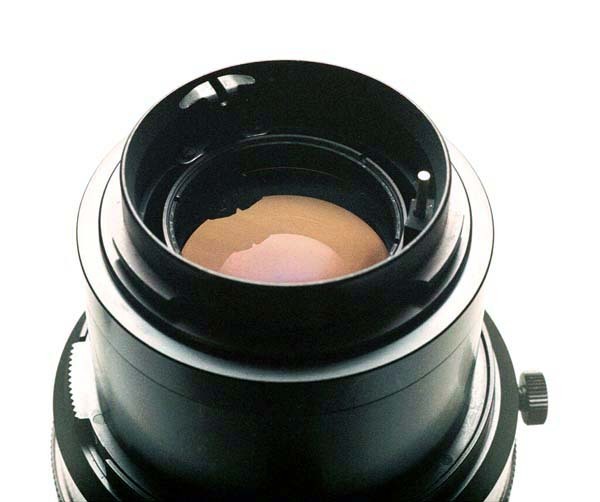 Arsenal also manufactures a 1.4× teleconverter which has the advantage of only reducing the amount of light reaching the film by the equivalent of one stop, while 2× converters reduce the amount of light by two stops. (This is not a fault, but a consequence of the enlarging the image projected onto the film by the lens/converter combination to twice the size in each dimension.) You can see photographs of two examples of it here. For a report of a converter that is placed in front of the lens, see here. If you prefer to work through the whole lens test without missing anything out, click below to go on to the next section. You will also see the results obtained with the 2× converters at the appropriate points. If you are following the results of the lens tests, the next section is here. If you are working through the lens data section, the next section (other converters in the Pentacon Six mount) is here. To go back to the section on adapters, click here. To see in detail how the Schneider teleconverter transmits the aperture information to the Exakta 66 TTL meter, click here.